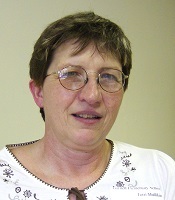 Terri started Character Coaching in the fall of 2010. While technically retired from Kent County Public Schools, she continues to home hospital teach. Terri is the Aquatics Directer at Easter Seals Camp Fairlee and Lifeguards at Aquafit. Terri is an outdoor enthusiast, she has backpacked parts of the Appalachian Trail and through parts of Europe and the United Kingdom.